This magenta saree made from cotton silk fabric has got solid color body weaving work lower pallu in stripes design and border having big floral petals butta as shown. 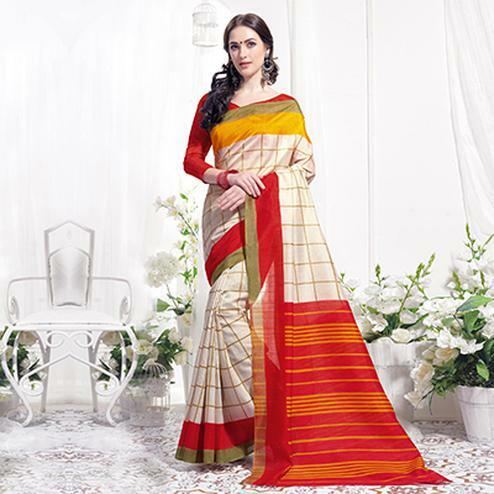 This saree comes along with matching fabric blouse piece in unstitched type. 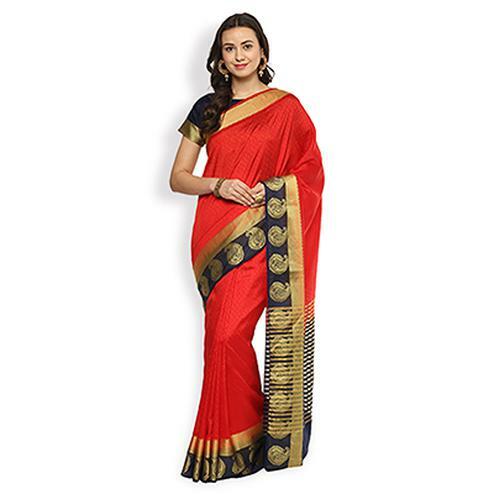 Women can wear this saree for traditional functions and festivals.